Visual Studio Code>Themes>No Happiness in Colors (Minimal Dark Theme)New to Visual Studio Code? Get it now. There is no happiness in colors. A minimal, dark syntax theme for Visual Studio Code that doesn't make your code look like a parrot. 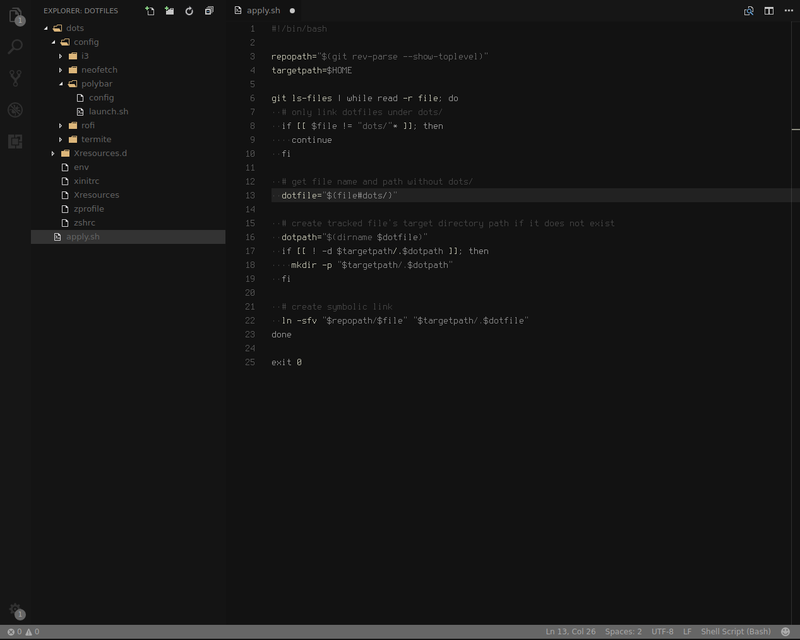 A minimal, dark syntax theme for Visual Studio Code that does not make your code look like a parrot. Fighting the good fight in making VS Code darker. 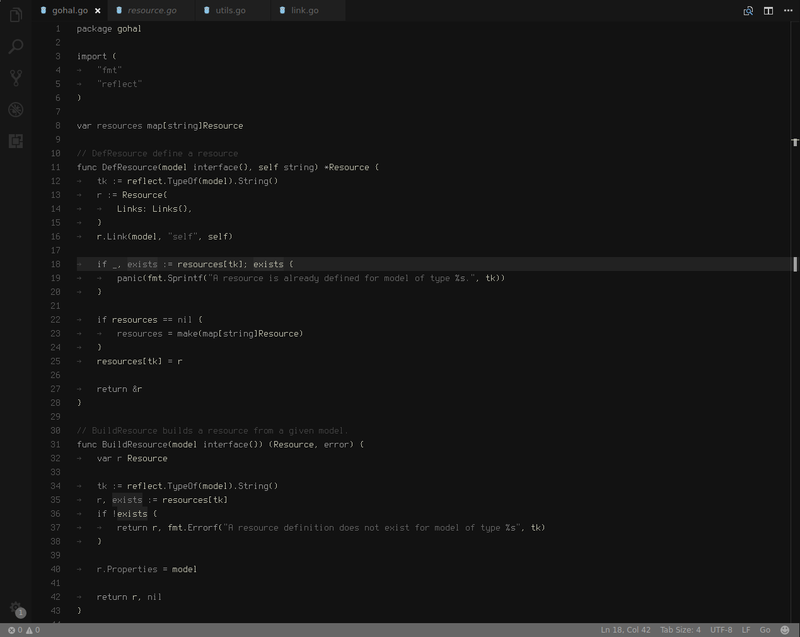 Font Terminus TTF version...yeah it works with Code Get it. For my Arch Linux homies, it is also available in the Arch User Repository. Below are pre-release screenshots but not much has changed in coloring language scopes.